Sunstar Hospitality will guide you through every aspect of organizing your celebration, whether it is a marriage fixing, betrothal, wedding, an event of achievement, small time parties like christening or Holy Communion; we offer a comprehensive catering service to suit all communities, religions and professions. All our dishes are specially cooked and we only use the finest and freshest ingredients. If you are looking to celebrate a milestone birthday or want to bring together family and friends, we will be able to take your vision and turn it in to reality. This is why we have gained a fantastic reputation as the caterers of choice in Kerala. Whatever be the event in your business, like conferences, Christmas parties, birthdays, send offs, we have excellent specially woven packages for the event. Not only can we provide the most delicious and beautifully presented treat, but we can help you right now with all aspect of planning your wedding reception. 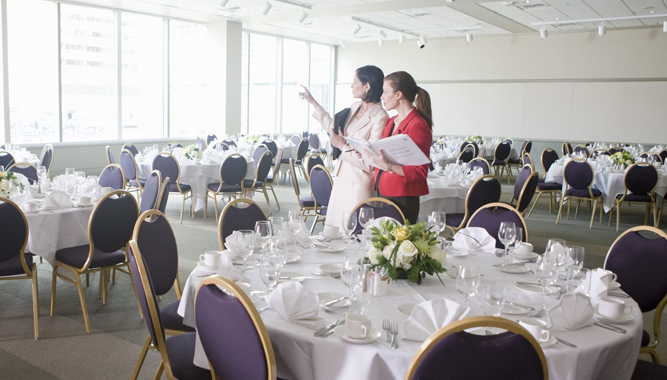 We are always available to you to discuss and plan your event at a place of your choice, your home, your working place or at our super specialty kitchen office. The secret of a memorable event lies in the seamless combination of a state of the art convention centre, delicious food, stylish presentation and impeccable service. As event caterers, we have seen it all, we have worked in the smallest areas to the grandest of stages and yet we always provide outstanding services and produce exceptional standards as party caterers.